NORTH ATTLEBOROUGH, Mass. — A warning about possible measles exposure has been issued for a North Attleborough CVS. A person believed to have measles was seen at the Minute Clinic Friday. 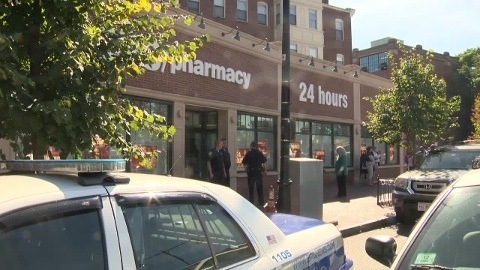 “The patient was diagnosed by our nurse practitioner as having symptoms associated with measles and was referred to Rhode Island Hospital,” CVS said in a statement. Massachusetts and Rhode Island health officials are in the process of contacting people who were there between 3 p.m. and 5 p.m. that day. If you were there and you’re not contacted by Monday, state health officials ask that you get in touch with them. “We are following Department of Health protocols in this matter, including notifying customers and patients who may have been exposed as well as verifying that employees who were potentially exposed have received the proper vaccinations,” CVS said. The patient also visited Rhode Island Hospital on Friday, right after the CVS visit, and Roger Williams Medical Center on Feb. 25. Those hospitals are also notifying patients who may have been exposed. Anyone who begins to develop symptoms should call their health care provider before visiting an office or emergency room. Early symptoms occur 10 days to two weeks after exposure and may resemble a cold with fever, cough, runny nose and red eyes. There is no indication that the North Attleborough incident is related to two cases of measles in the Framingham area.